Variety of liquids such as water, honey, cooking oil, juice, milk, ketchup, shampoo, cola, coffee, dish soap, etc. A liquid takes the shape of the solid container that it is in. Many liquids will freeze if cold enough. Some liquids can turn into a gas when they get hot enough. Some liquids are safe to drink. Others are absolutely not safe to drink. Some liquids help you do things (soap, gasoline, shampoo, etc.). “Today we are going to think about the properties of various liquids. Properties are characteristics that something has. When we describe the properties of a solid, we might list what color it is or what shape it is. We can use our five senses to think of all the properties that a liquid has. Let’s look at our most common liquid: water." Ask a student to pour water from one container to another while students think of words to describe it. Encourage using the five senses. Is it cold? What color is it? Is it thick? Bubbly? List the words on the board. Then put students in small groups at observation stations (tables or desks). Place one liquid, a container, some paper towels, writing paper and pencil at each station. Depending on how much time you have the students can change stations after 5-10 minutes. Gather students together to discuss their observations. Encourage words that describe colors, consistency (thick, thin, oily,) temperature, odor or other attributes like fizzy or bubbly. Conclude that even though liquids have different properties, they are still liquids. 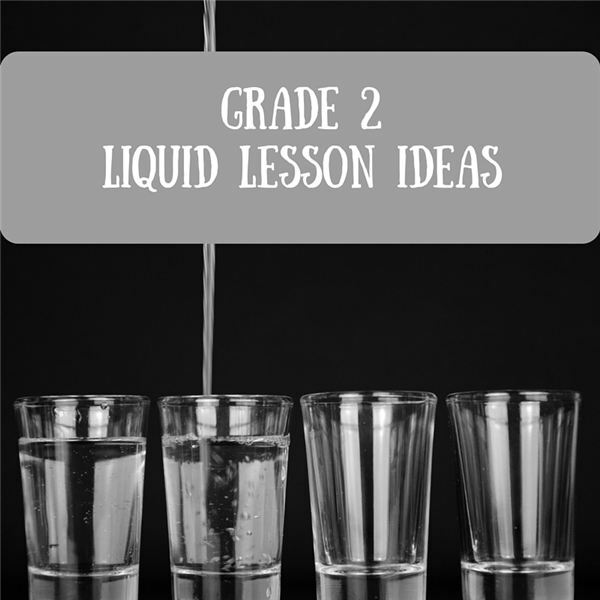 Find any two different liquids at home. With a parent, pour the liquid into another container. List four words to describe the liquid. Words could describe the color, thickness, temperature, odor and so on. How are the liquids alike? How are they different? Use a piece of writing paper to record your observations. Reilly, Kathleen M. Explore Solids and Liquids. Nomad Press, 2014. Mullins, Matt. Junior Scientists Experiment with Liquids. Cherry Lake Publishing, 2011.